A new season calls for a new look. As winter draws in, the catwalks are filling with rich, autumnal colours, thick Mediterranean eyebrows and statement eye makeup. In chilly weather we’re forced to hide our fabulous outfits under bundles of coats and scarves, so this year we’re wearing fashion on our faces. We’ve compiled a selection of the best on-trend beauty products to add a little fun and vibrance to the bleakest of British weather. A perfect pout is the fashion world’s obsession this season, with top labels like Diane Von Furstenberg and Yves Saint Laurant opting for striking shades- sure to attract attention. Whether your lips are as voluptuous as Angelina’s or as delicate as Kiera Knightly’s, accentuate your smile with one of the 32 bold shades on offer in Dior’s new Rouge Dior lipstick collection. Claiming to contain a ‘new generation of plumping hyaluronic acid microspheres’, this lippy promises to smooth and plump the surface of your lips for a youthful, radiant look. We recommend no.526 ‘Rare Amber’ for an on-trend, slightly coral-coloured sheen. One runway trend this season is bold, black eyeliner. Designers like Louis Vuitton and D&G are playing with tribal and Egyptian influences to create bold, beautiful Nephertiti-style eyes. 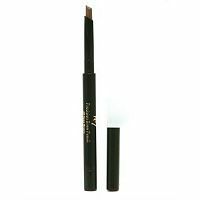 For a feline-feel, we suggest trying Bobbi Brown’s Long-Wear Gel Eyeliner. This gel is easier to apply than liquid liner due to its stickier consistency. It’s also water-resistant- so that pesky autumn drizzle won’t get in the way of you looking fabulous! You can buy Bobbi Brown’s Long-Wear Gel Eyeliner at Selfridges for £16.50. Think Sophia Loren or Elizabeth Taylor for eyebrows this winter. Most of us plucked our eyebrows to oblivion in the early naughties, but now it’s time to go au-naturel and let those stray hairs run loose. If you’re not blessed with a bushy brow, we recommend No.7 Precision Brow Pencil. This pencil is great for filling out and adding shape and definition to scraggy eyebrows, and it’s not a bad price either. There’s no point having a beautifully made face if you’re going to forget about your nails. Autumn/winter 2011 sees a return of bright, funky nail colours. They key to nail glamour is in the top-coat. Try Rimmel London’s Rock Your Colour Top Coat to add a little festive sparkle to your nails this winter. The more layers you paint, the more dramatic the effect. For an even funkier look, try Rimmel London’s Crackle Your Colour Crazy Top Coat. The crackle polish look was a hit this summer and it continues to spread this winter. You can buy Rimmel London’s Rock Your Colour Top Coat from 24th November 2011 for £4.59 and Crackle Your Colour Crazy Top Coat is available now for £3.99. Catwalk cat eyes with Dior Will you be getting your 'Freak' on this Halloween?